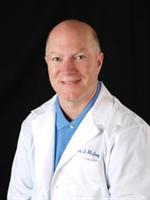 Directory > Providers > Eye Care > Optometrist > TX > Corpus Christi > John McIntyre, O.D. Drs. McIntyre, Garza, Avila and Jurica are here for your convenience, not ours. You can come in 7 Days a Week for a thorough eye exam and in most cases you can walk out with your contact lenses. Either call to schedule an appointment: 361-994-0310, or just Walk In. Drs. McIntyre, Garza, Avila and Jurica are your Corpus Christi eye doctors. Dr. McIntyre has practiced in Corpus Christ since 1984. He has completed clinical externships in pediatrics, eye diseases and contact lenses, is licensed to treat glaucoma and prescribe oral medication, and has attended postgraduate courses in laser vision correction. Services John McIntyre, O.D. practices in Corpus Christi, TX. Optometrists offer services which typically include the examination and treatment of common vision disorders as well as the fitting and prescription of corrective eye glasses. To determine if John McIntyre, O.D. can help you, please call the Corpus Christi, TX office at (361) 994-0310 for more information.